Advertisements are a huge point of contention amongst modern Web users. At best, ads are inconvenient and unsightly — they can waste valuable mobile data Saving Mobile Data: 5 Clever Ways To Reduce Data Usage Saving Mobile Data: 5 Clever Ways To Reduce Data Usage If you’re on a limited mobile data plan, you may find opening your bill to be harrowing experience. Is there an overage charge? How much? And why was there so much data used? While the... Read More , slow down page-loading, and pop-ups are just the worst Let's Put A Stop To Pop-Up Browser Ads Once And For All! Let's Put A Stop To Pop-Up Browser Ads Once And For All! Pop-ups can catch you off guard, and if you're not careful they can create problems. Learn how to avoid them and how to handle them if they do come up. Read More — at worst, online ads can be harmful to kids How to Avoid the Dangers of Online Advertisements Targeted at Kids How to Avoid the Dangers of Online Advertisements Targeted at Kids You might think you're smart enough to dodge manipulative advertisements -- and maybe you are smart enough -- but what about children? Online ads are increasingly targeting younger and younger folks. What can we do? Read More . However, advertisements are necessary. Ad-blocking extensions are harmful Are Ad Blocking Browser Extensions Killing The Internet? Are Ad Blocking Browser Extensions Killing The Internet? One of the reasons for the Internet’s surge in popularity is the cost of most online content – or rather, the lack of cost. That’s not to say the content is free, however. Almost every... Read More because ads are the bread-and-butter of many non-corporate websites. For an Internet that’s free of subscriptions and paywalls, ad-blocking extensions need to die It's About Ethics in Stealing Games Journalism: Why AdBlock Needs to Die It's About Ethics in Stealing Games Journalism: Why AdBlock Needs to Die A simple, free browser plugin killed Joystiq – and is ruining the Internet. Read More . But where did all of this start? It’s impossible to know what the very first advertisement was, but the first publicized example is a 1978 email sent by the now-defunct Digital Equipment Corporation to ARPANET users across the west coast of America. Email advertising How Do Spammers Find Your Email Address? How Do Spammers Find Your Email Address? Spam is the closest thing we’ll ever find to an Internet plague. No matter who you are, spam will one day find you and you’ll have no choice but to put up with its pestilence.... Read More is so old that it predates the Internet as we know it today! And if you’re curious, that 1978 bit of spam was an invitation to come see brand new models of the Dec-20 computer. By comparison, the first recorded online banner advertisement came around in 1994 thanks to Wired.com. If you’re worried about spam in your email, check out these email security tips 7 Important Email Security Tips You Should Know About 7 Important Email Security Tips You Should Know About Internet security is a topic that we all know to be important, but it often sits way back in the recesses of our minds, fooling ourselves into believing that "it won’t happen to me". Whether... Read More to keep you safe. Do you remember your first encounter with an online ad? What was it? Tell us about your experiences below in the comments! Explore more about: History, Online Advertising. 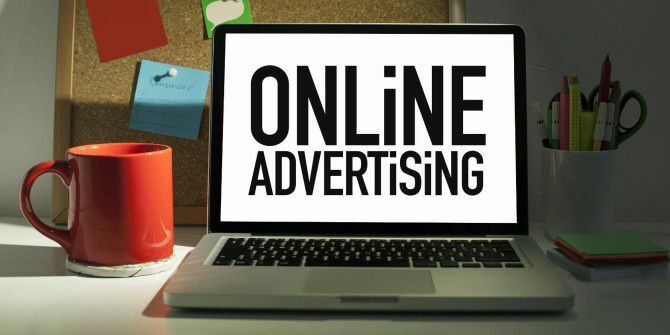 A good article on the online advertising. Wow, 44%... imagine that kind of rate today. That'd be insane, lol. I can remember the first time an ad was posted on USENET, IIRC a legal service for US immigration. There were very serious discussions about revoking internet access for the folks who posted the ad. Up to that point, discussion of commercial activity through the internet was studiously avoided because of the origin and government funded nature of most internet activity. In the end I would say that one ad opened a floodgate that destroyed the wide-ranging utility of newsgroups as a tool for discussion. I also remember the first time I saw ads on Netscape's home page, the first truly major web site on the internet. I now believe that many commercial web sites will wind up at least partially removing themselves from the general-purpose world wide web in favor of locking away access in some kind of special-purpose app where they can control presentation and mandate ad viewing, since there isn't much site owners can do to stop the spread of ad blocker from either a technical or legal standpoint.